Results: Twisting and pinching slow a catalyst's ability to generate energy from hydrogen, according to scientists at Pacific Northwest National Laboratory's Center for Molecular Electrocatalysis. In converting hydrogen to electricity, the catalyst uses claw-like extensions, called ligands, to get needed items in place. However, the ligands opening and closing during the reaction can't be speeded up, making it the rate-limiting step; the ligands' tendency to grasp the protons a bit too tightly can also slow the reaction. Why It Matters: Reducing our nation's reliance on fossil fuels relies on creating technologies to quickly and efficiently convert the power generated at wind farms and other sources into a use-any-time fuel, such as hydrogen molecules. Scientists are striving to design affordable, abundant catalysts that turn energy into hydrogen and then release the energy when desired. This study, which appears in the Journal of the American Chemical Society, answers important questions about how the chemical energy in the hydrogen would be converted into electrical energy. 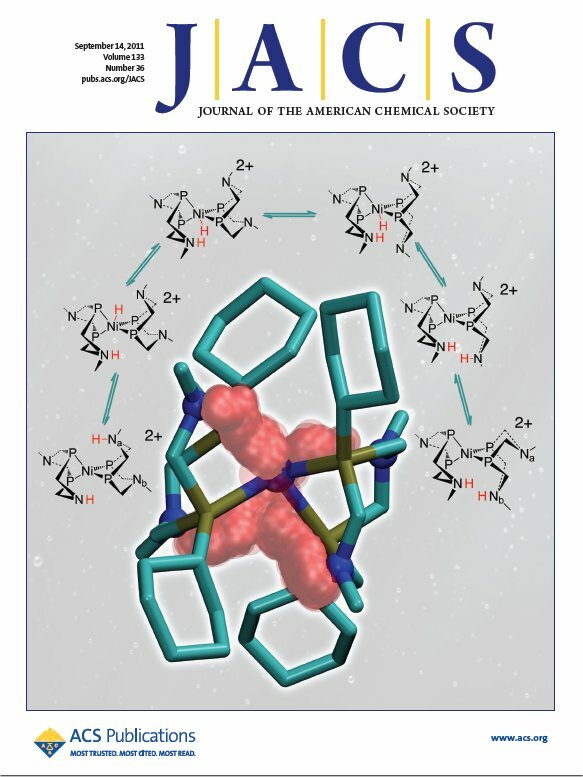 Methods: The team examined a nickel-centered catalyst with two ligands, six-sided molecular bits that extend off the edge of the catalyst and resemble crab claws. The specific catalyst is [Ni(PCy2NBn2H)2]2+ (PCy2NBn2 = 1,5-dibenzyl-3,7-dicyclohexyl-1,5-diaza-3,7-diphosphacyclooctane). The catalyst's ligands snag a hydrogen molecule and move it to nickel at the heart of the catalyst. The nickel cracks the molecular hydrogen into 2 electrons and 2 protons. The electrons remain at the center and are then free to do work, just like the electrons generated by fossil fuel combustion. The ligand picks up the protons using a pendant amine, a small string of atoms containing nitrogen that dangle off the ligand. During this process, the ligand twists between two different conformations, known as "boat" and "chair." Changing between boat and chair is the rate-limiting step in the reaction, meaning that the reaction can only go as fast as this change occurs. This proved to be an unexpected result for the team. But, there were other surprises to be found in the data as well. When the ligand picks up the protons it uses the same pendant amine that was involved in taking the hydrogen to the center. "Intuitively, I would have expected the molecules to completely scramble the protons," said Dr. Wendy Shaw, recipient of the U.S. Department of Energy's Early Career Award and physical chemist on this study. "That the protons moved on the same ligand every time is really interesting and could have implications for future catalysts." Further, the team found that the pendant amine isn't always ready to give up the protons. Under certain conditions, the molecule holds on tightly to the protons, pinching them. The amines can pinch the protons so hard that they can't move. In this study, the researchers used a complementary experimental and theoretical approach. The experimental scientists determined the conformation of the catalyst and the rates of reaction using nuclear magnetic resonance spectroscopy experiments in PNNL's Physical Sciences Laboratory. The theorists described the proton movement using complex calculations, including density functional theory and molecular dynamics simulations. The theoreticians used supercomputers at two user facilities. The team used resources at EMSL, Environmental Molecular Sciences Laboratory, and NERSC, the National Energy Research Scientific Computing Center. "This paper is an example of what a research team can do when they are working closely together," said Dr. Morris Bullock, Director of the Center for Molecular Electrocatalysis at PNNL. "Together the experimentalists and theorists really answer the question of how the protons move." What's Next: The experimentalists and theorists, together in the Center for Molecular Electrocatalysis, are using this research as they tackle two new challenges in proton movement. First, they are conducting a more detailed examination of proton pinching. Second, the team is studying how pendant amines take the next step, moving the proton from the edge of the molecule to the environment beyond. This relay hand-off is critical for fuel cells and other alternative energy technologies. "What we found has really helped us think about how to design new catalysts," said Shaw. Acknowledgments: This research was supported as part of the Center for Molecular Electrocatalysis, an Energy Frontier Research Center funded by the DOE Office of Science, Office of Basic Energy Sciences. In addition, funding was provided for Wendy Shaw by the DOE Office of Science Early Career Research Program through the Office of Basic Energy Sciences. Computational resources were provided at EMSL and the National Energy Research Scientific Computing Center. Molly O'Hagan, Wendy J. Shaw, Simone Raugei, Shentan Chen, Jenny Y. Yang, Uriah J. Kilgore, Daniel L. DuBois, and R. Morris Bullock, PNNL, did the research. Reference: O'Hagan M, WJ Shaw, S Raugei, S Chen, JY Yang, UJ Kilgore, DL DuBois, and R Bullock. 2011. "Moving Protons with Pendant Amines: Proton Mobility in a Nickel Catalyst for Oxidation of Hydrogen." 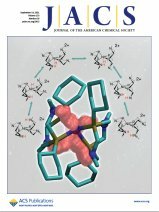 Journal of the American Chemical Society 133:14301–14312.